Caen to Montpellier – La Manche to the Med. A warm welcome to the Evesham Wheelers website. We hope to meet you soon. Meanwhile, we do hope that the content of this website encourages you to ride with us. If you have any questions simply ask the Chairman (see Contacts above) and you will get a prompt response. 2018 was the 47th annual Tour des Trois Valley organised by the Cyclo-Club Dieppois. It is known in this country as the Dieppe Raid and was inaugurated as an international event in 1972 by Neville Chanin, a former President of this Club. The Club stays at the Hotel Europe on the sea front close to the greensward, the harbour and the town. The Club produced special Club jerseys to celebrate the 45th anniversary of this international event in 2016. We are all now looking forward to 2019. Watch this space. 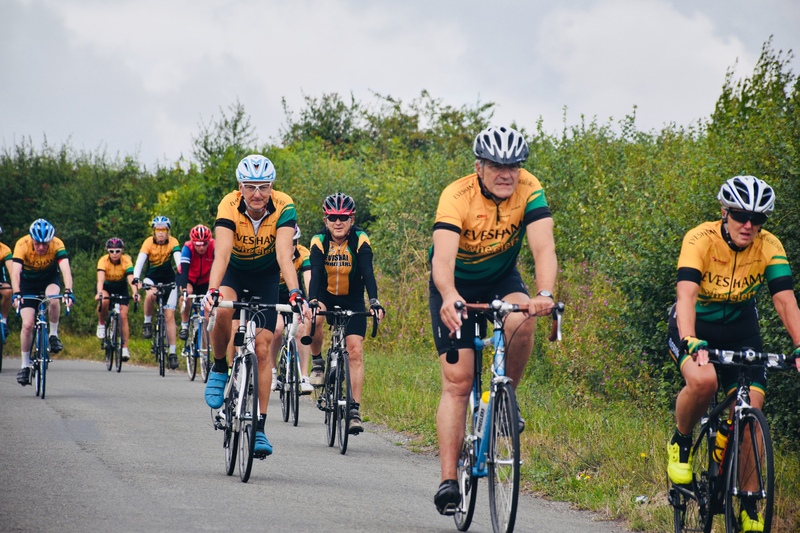 We welcome anyone who wishes to ride with us, whether a novice, an experienced local rider or a visitor to the area looking for someone to cycle with. Everyone is welcome whatever their age or ability. 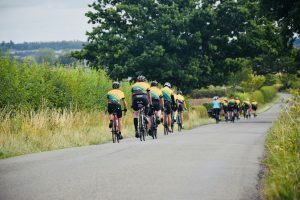 We offer all the opportunity to ride in company, to explore the area, to race if they wish and to meet others with an interest in cycling and the outdoors. We are a mainly touring club although we run a limited programme of time trials during the summer. Feel free to explore our website and find out a little about us but the best way is to turn up with your bike at the start of one of our rides. If you are nervous about doing this, contact one of our committee members and they will ensure you are met at the start and made to feel welcome. However you meet us, you will be taken good care of on the ride! 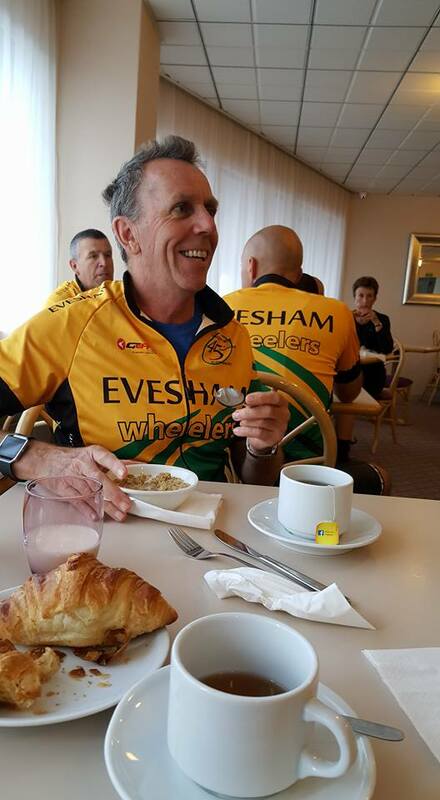 Evesham Wheelers has always been a sociable, friendly and fun club enjoying an active female membership! Website supported by Mercia Digital.